Summer Special: Stay 2 or More Nights, Get 20% OFF! 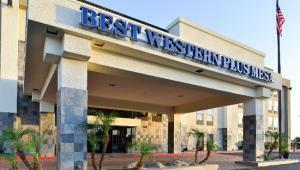 This summer stay 2 or more nights at the Best Western PLUS Mesa between June 1st, 2019 and August 31st, 2019 and get 20% your stay! Mention discount code SUM20 when making your reservation. For reservations call (480) 926-3600.